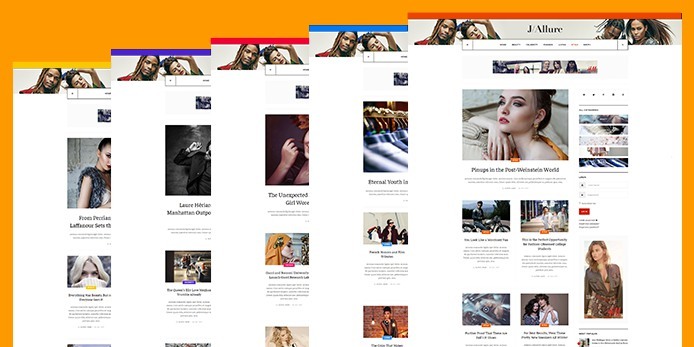 The Beauty and Fashion magazine Joomla template is responsive and works well with all devices based on powerful bootstrap 3 responsive grid system. 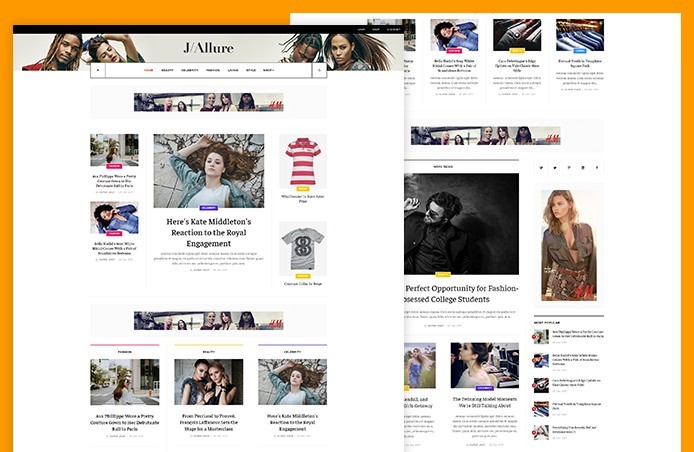 JA Allure template comes with the not only traditional article, it supports 2 extended article types: Video article and Image gallery article with additional fields to add videos and images gallery to articles to build video and image gallery magazine page. Articles category module is flexible Joomla module to display content in your own way. 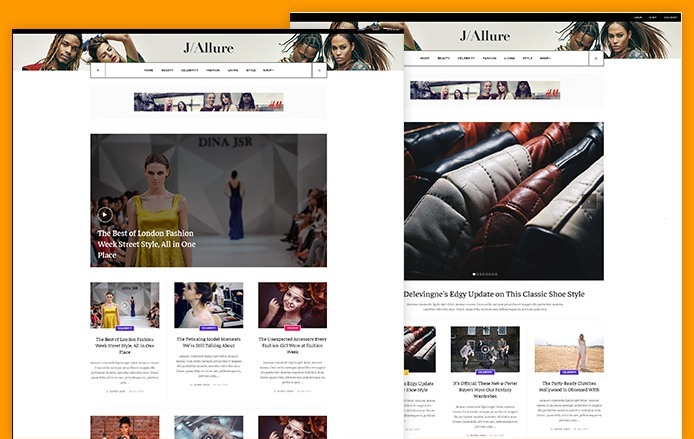 JA Allure template adds more views for the module to give you more options to display articles. For each category, you can set a specific color, the color will be applied for pages, modules ... that load content from the category. This will make your whole magazine website look more beautiful and creative. JA Allure fully support Hikashop to integrate eCommerce with all required e-commerce pages: Product categories, Product list, product details, checkout and payment method. 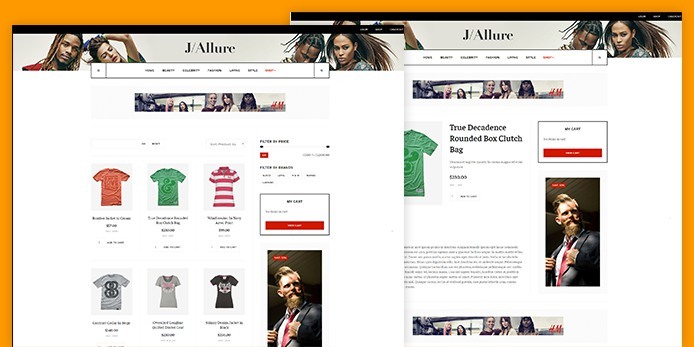 To help user have more choice on eCommerce platform, JA Allure fully supports 2 popular Joomla eCommerce extensions: Hikashop and J2Store. The beauty and fashion Joomla template comes with specially customized styles for all Joomla default pages. JA Allure supports right to left languages that allows you build website in special languages: Arab, Persian, etc.